He has been working for Stantonchase for 16 years, where he placed Tier 1(Cxx positions) and Tier 2 executives for Foreign and Domestic Companies regardless 0f Industry Segment. Recently he is devoting himself to support Diversity and Generation Transformation in Global Clients and Candidates to cope with Aging Society. Also, trying to develop New Business Model in Executive Search to be able to support rapid growth companies and Global Companies whose competition has been severer than ever. Minori graduated from Keio University, BA commerce. 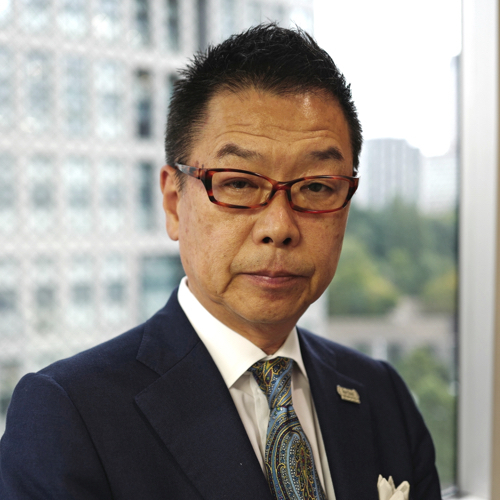 He joined Stanton Chase International after a 20-year career in the computer industry as a Director and Manager of Marketing and Sales throughout his career with NCR Japan and NCR Corporation, he offers clients interpersonal relationships counsel and innovative business advice based on his global experiences and global human network.